This image was made while wandering the north of Ireland along ocean drives after we shot at the Dark Hedges. 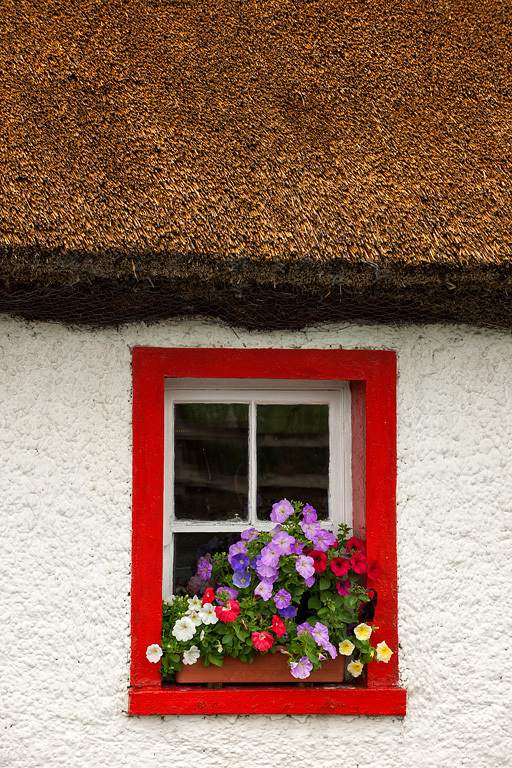 Classic thatch roof houses are becoming harder and harder to find in Ireland. The flowers in the window were an added bonus! The simplest of compositions can so often produce the most stunning of images. Nice one, John.